Two fundamental beliefs guide conservative thought. Namely, that human nature is immutable and that one may distill the precepts of natural law by observation of this permanent nature. Early progressives began by moving away from the idea of natural law, then finally denied the permanence of human nature altogether. Man, in the eyes of liberalism, is an organism fully integrated into society. He is a result of circumstance, his nature determined by elements not inherent but imposed. On one side, law reflects justice in an unqualified and universal sense: namely, justice as set down by natural law. On the other, law reflects justice only in a qualified sense: justice as it is determined by the society to which it is applied. Man has the power to create his own law. By extension, modern liberals see history not as an act of providence, but as a providential force unto itself. Man is his own god, the maker of both his history and his future. Sexuality, morality, and justice according to modern liberalism are all subject to change according to the needs of the individual. They would have conventional law as the only law: what is just is what society says is so. Conservatives form principles based on observation of what human nature is. Liberals have formed principles based on what they wish human nature could be. Liberalism is, put simply, the perfunctory rejection of all that conservatism holds dear. It is not the abstract nature of their beliefs that is fundamentally irreconcilable with conservatism, but the fact that their beliefs are utterly unaccountable to the world as it is. The tenets of liberalism are unmitigated by reality, untempered by practicality, unfettered by the need to reconcile what is with what they think should be. It has stripped men of all that makes them most enduringly human, replacing what is lost with a series of egalitarian platitudes and meaningless gestures toward utopian worlds to come. Though we may be unable to thwart liberal degeneration by means of precedent, we may yet return to our principles.This nation was founded upon a few self-evident truths and may perhaps be saved by them. In one famous line, the Founders set forth the first of a series of principles by which all Americans may guide their argument: “We hold these truths to be self evident, that all men are created equal, that they are endowed by their Creator with certain unalienable Rights, that among these are Life, Liberty and the pursuit of Happiness.” It is to these fundamental beliefs that we must turn in order to confront the ravaging influence of modern liberalism. 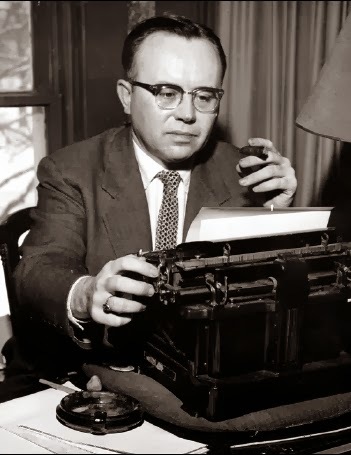 Russell Kirk is considered by many to be the father of modern conservative thought. When Kirk wrote The Conservative Mind in 1953, it was for a very specific purpose: to give strength and coherence to the post-World War II conservative argument, which had long been in a state of popular decline and was finally brought to its knees with the broad public acceptance of liberal internationalism after the war. He strove to validate conservative philosophy by producing a catalog of conservative thinkers through history, giving his contemporaries precedents from which to draw. From “The American Cause,” published in 1957: “We [Americans] have maintained a degree of order and justice and freedom very rare in history. And behind these outward marks of success lie certain enduring principles of thought and action which, in very considerable part, have created and protected our national life. Certain concepts in Americans’ minds are responsible for our private rights, our sound government, and our worldly prosperity” (TAC 5-6). Kirk could afford to draw upon mutually accepted values and argue from a highly contextualized perspective when defending conservatism because the majority of both conservative and liberal thinkers of post-World War II America accepted the tenets of traditional morality. American values were still seen as things to be affirmed, accepted, and passed down to future generations. Kirk’s conclusions were in question, but the moral and traditional premises were still widely accepted. Today’s liberal thought has rejected not only Kirk’s conclusions, but his premises as well. Kirk was addressing an America that had yet retained its sense of self. His America had not yet rejected reality. Kirk’s argument that natural law is manifest in conventional law is no longer adequate. Tradition is no longer sufficient. We must reach past history and find absolute means by which to combat radically dehumanized arguments. Kirk, a man of immense genius, a man who savored the beauty of subtle differentiation, can no longer stand against the aggressive liberal ideology with which we are confronted today. Liberalism reduces all men to absolute, inhuman equality. It denies completely the grounds upon which Kirk rested his arguments. It defaces history, relentlessly droning the anthem of progress, mindlessly urging men past its complexities and vibrant nuances. There is no room for individuality within the collective. There is no allowance for differentiation where all mankind is subsumed under the overwhelming tide of social evolution.